In the previous section we created our custom list with the fields that will enable the Smart Import to function correctly. 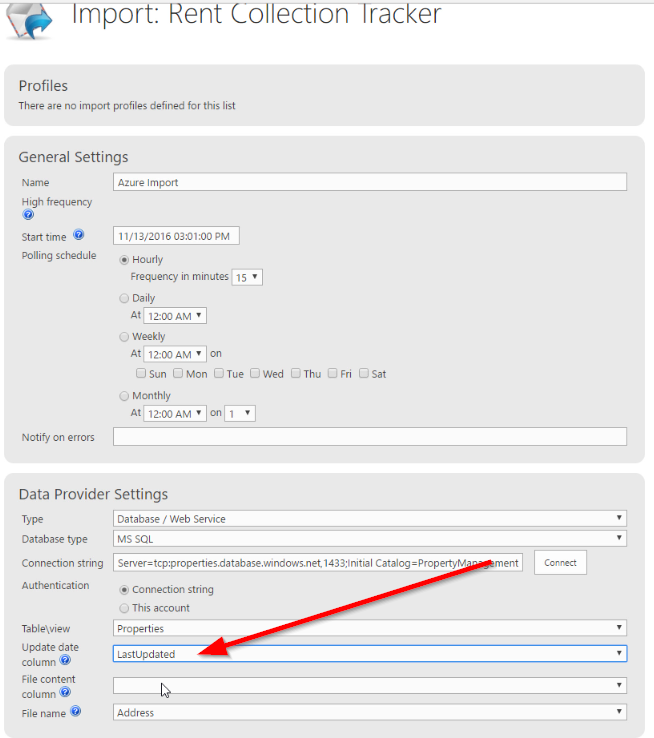 In this section we will setup the Smart Import to pull records from the database. To access the Smart Import Pro you need to go to the List tab then click on the Design button, this will take you the Infowise Ultimate Forms Designer. 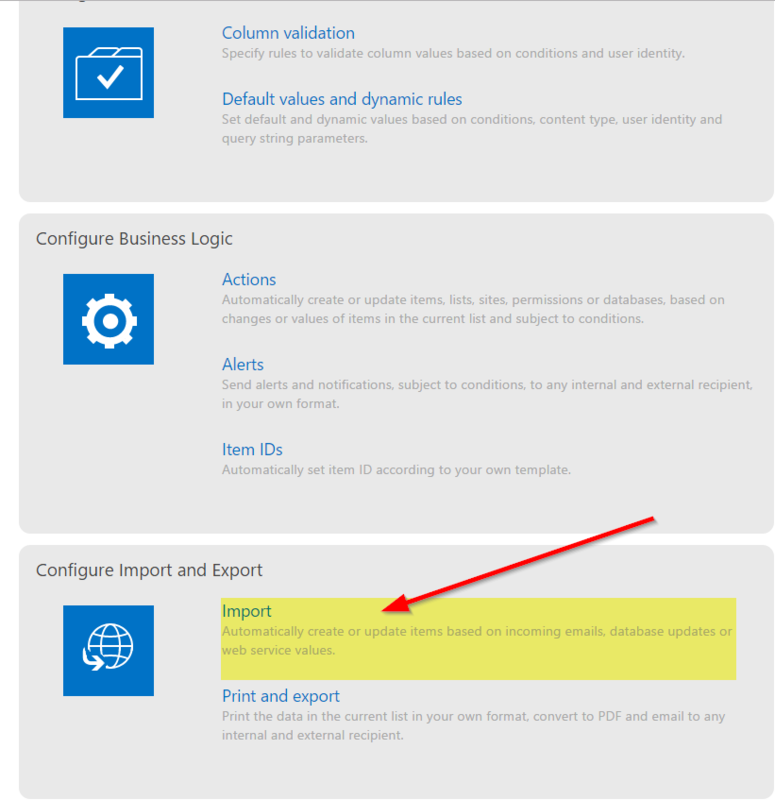 Once in Infowise Ultimate Forms Designer go to the Configure Import and Export section and click on the Import link. Name: The name you want to give this import. Polling Schedule: This is the frequency in which you would like the data imported. Connection String: This is the connection string that we got from Azure, you can also use whatever connection work to connect to your database. The we are going to hit the Connect button to in order for Smart Import Pro to test the connection and bring back import database information that will enable use to finish the Smart Import. 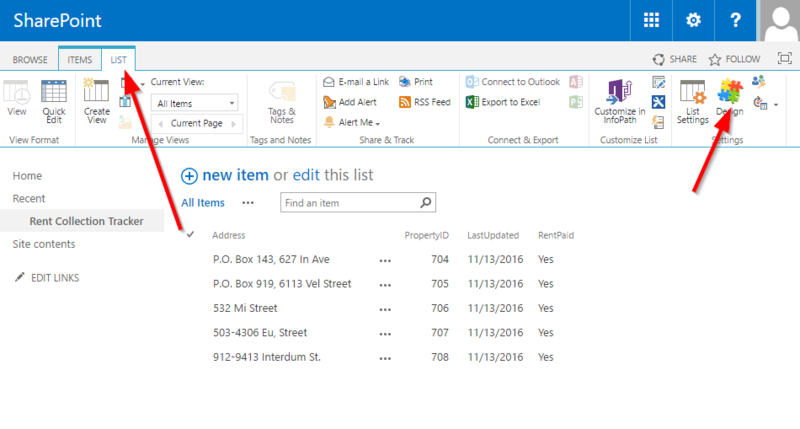 Next you will need to pick a date column that keeps track of changes in MSSQL. 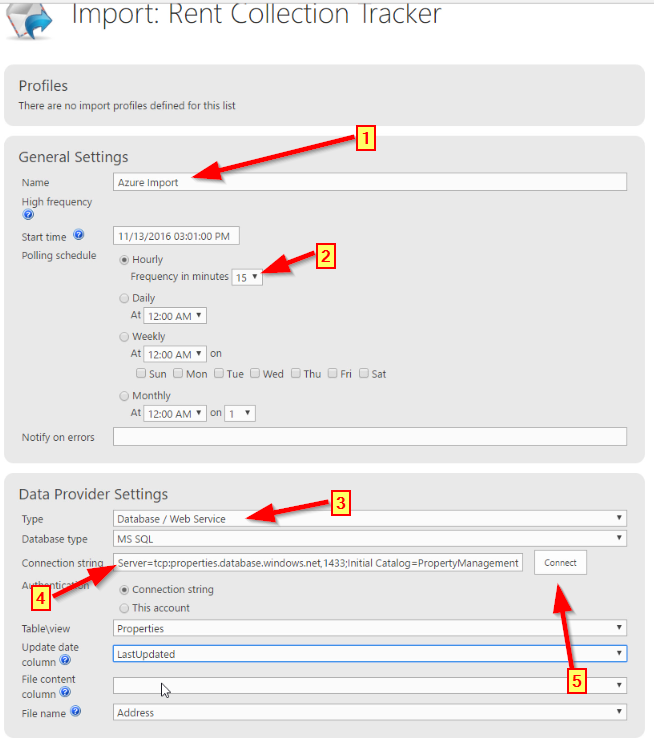 In the Actions Settings we are going to pick what data is imported/synchronized and under what conditions. 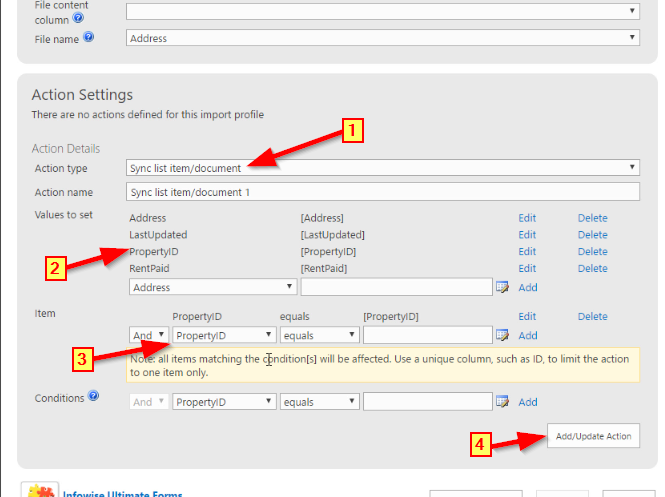 Sync list item/document - By choosing this action we are choosing to import and synchronize the same fields under the same conditions. Smart Import also provides separate actions just for Create and Update. By splitting up the action you get the option to choose different fields and conditions to create or update. Values to set - These are the values we are going to synchronize. Item - This is the Primary Key field we are going to use to positively identify a record and determine if we need to import or update the fields. After we hit the Add/Update Profile button at the bottom of the page the Smart Import will begin to run. In the next section I will show you how we verify the import.